-	Every day make phone call to build up client contact database. -	Execute business research as assigned. -	Support in sending business communications to clients. -	Other task as request. - Vacancies available: at least 2 full time interns. - Starting from: any time from April 2018. - Working location: 11F Dali Tower, 24C Phan Dang Luu, Ward 6, Binh Thanh District, Ho Chi Minh City. - Can communicate in English & Vietnamese. - Interested in working with people. - Proactive and workable under high pressure. - Strong interpersonal and listening skills. - Available for full-time internship at least in 4 months. 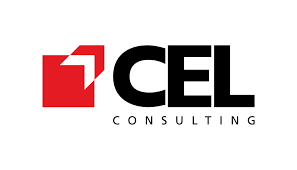 - Interested candidates are invited to send your most updated CV to Ms. Chau Pham at recruitment@cel-consulting.com or apply via this online job application form: https://www.cel-consulting.com/apply.